The success of Wonders of World Engineering led to a final series being planned. This was also published by The Amalgamated Press under the Editorship of Clarence Winchester. 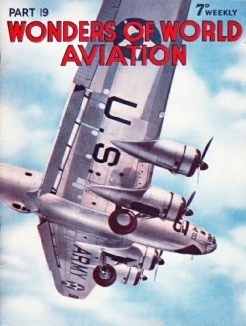 The final issue of Wonders of World Engineering promoted the final title, Wonders of World Aviation. The first issue appeared on Friday 8th March 1938, exactly a week after the final part of Wonders of World Engineering. Wonders of World Aviation, promoted as “the conquest of the air in story and picture”, proved to be the final series issued by the Amalgamated Press under the editorship of Clarence Winchester. It was also the one series that was closest to his own interests. Undoubtedly by the time this series was nearing completion, the approach of war meant that any further plans to produce anything new were placed on hold. The first of the Clarence Winchester part works, issued with full-colour covers and a vast range of other illustrations was Railway Wonders of the World. It was issued in 50 weekly instalments from 1st February 1935 through to 10th January 1936. It covered a wide range of subjects, and was intended to be “the most comprehensive survey of railway accomplishment yet presented to the public". The first issue included a full-colour fold-out cutaway diagram of a “King” class locomotive. The Consulting Editor was the famous railway author Cecil J. Allen. The series covered a number of engineering-related topics. Similar binding arrangements to Wonders of World Engineering were available for Railway Wonders of the World, the binding cases being red rather than green. 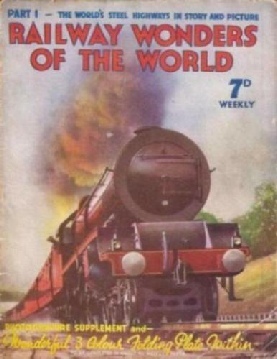 Railway Wonders of the World was followed by Shipping Wonders of the World, which first appeared on Friday 31st January 1936. Shipping Wonders of the World followed a similar format to its predecessor. It was completed in 55 parts, the final issue appearing on 23rd February 1937. 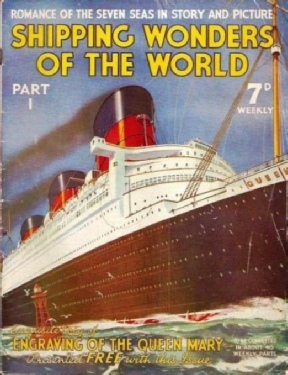 The first issue included a special engraving of the RMS Queen Mary, whilst a two-page colour plate appeared with the second issue. The Consulting Editors were A C Hardy and Frank C Bowen, both of whom regularly contributed articles to the series. Similar binding arrangements to Wonders of World Engineering were available for Shipping Wonders of the World, the binding cases being deep blue rather than green. Wonders of World Aviation followed a similar format to its predecessors. However it was the smallest of the four series, being completed in only 40 parts, the final issue appearing on 6th December 1938. 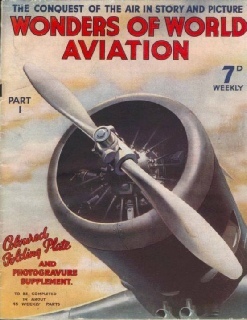 The first issue included a special fold-out cutaway colour plate of the Short-Mayo composite aircraft, whilst part two included a colour plate of a Miles Magister monoplane. The Consulting Editor was J Laurence Pritchard. The series covered a vast number of aviation topics. Similar binding arrangements to Wonders of World Engineering were available for Wonders of World Aviation, the binding cases being light blue rather than green. The earlier series are described below. Both have websites designed in a similar format to Wonders of World Engineering.